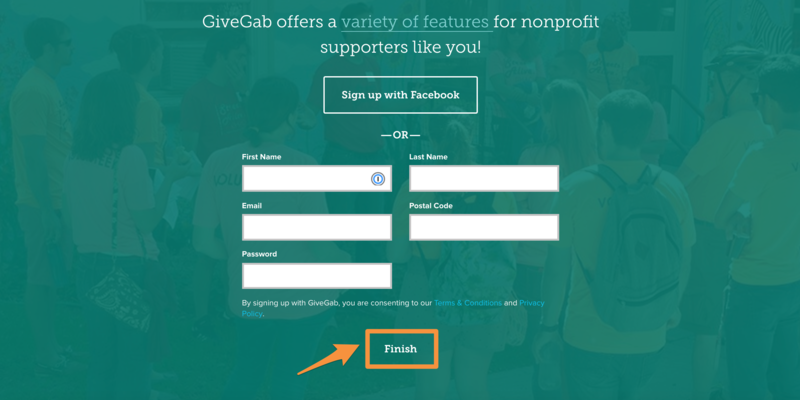 Navigate to https://www.givegab.com and click on either of the"Get Started" buttons highlighted below. After you click the "Get Started" button, you’ll have to choose whether you are a nonprofit administrator or a nonprofit supporter. 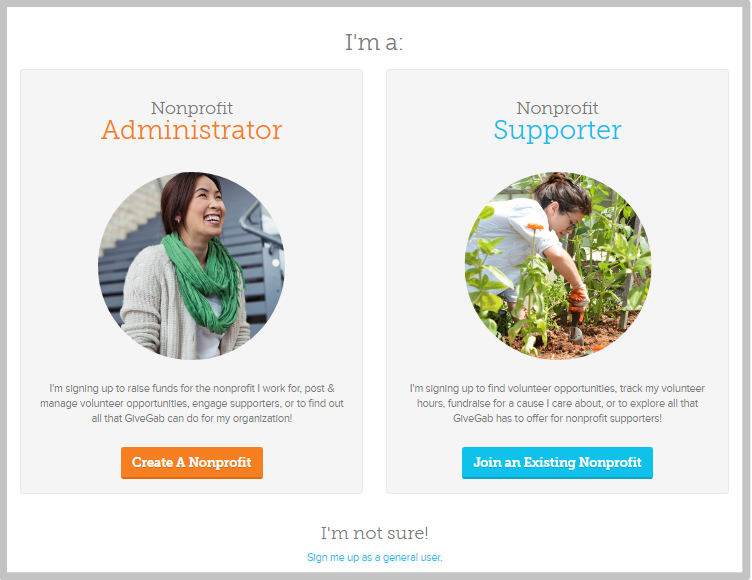 You will choose "I'm a Nonprofit Administrator" if your nonprofit does not yet have an account on GiveGab. You will choose "I'm a Nonprofit Supporter" if you are not a nonprofit administrator and want to support the organization or if you’re a nonprofit administrator but know your organization is already on GiveGab. A nonprofit administrator whose organization is already on GiveGab will need to reach out to the current Admin and ask for Administrative access. If you don’t know who the admin is, reach out to the Customer Success Team and we’ll be able to help you! And if you’re not sure which group you fall into – you can click “Sign Me Up As A General User” down below. Fill out the form with all of your information then click the “Save” button at the bottom of the page. Once you’ve done that, you’ve officially signed up for GiveGab! 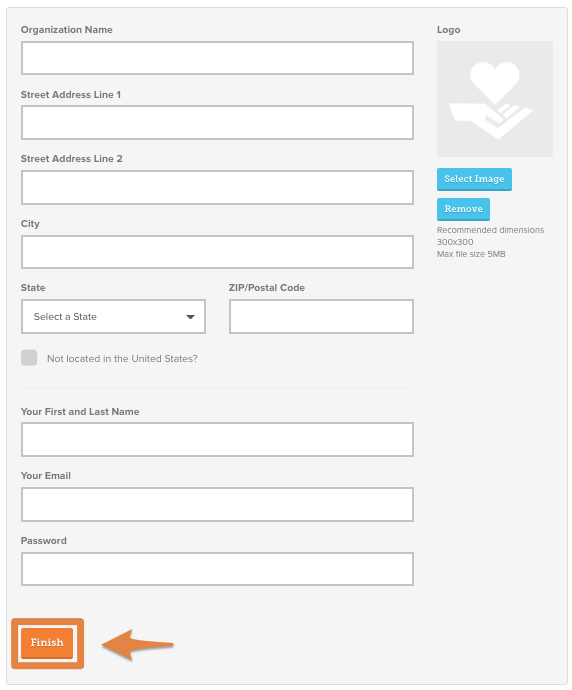 After you click on the Nonprofit Supporter link you’ll be taken to the form pictured below. Fill out the form with all of your information then click the “Finish” button at the bottom of the page. Once you’ve done that, you’ve officially signed up for GiveGab!